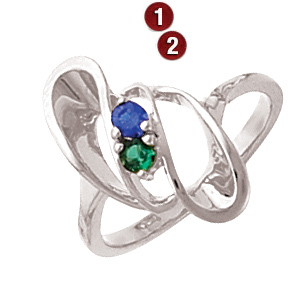 The sterling silver spiral dancer mother's ring is set with two round genuine 3mm birthstones of your choice. Prong-set. Made in the USA. never again worst experience ever!!! customer service does NOT exsist there! DO NOT put yourself through this!! !